Fetameriganoi is a band from Kalamata, Greece, originally formed in 2003 by Thanos Pappas (keyboards) and Dimitris Tsilivarakis (guitar), two childhood friends that loved composing and playing music together. A year later, Dimitris Soumis (guitar) joined the band and since then, the trio stayed inseparable both as friends and band mates. In 2008, Theocharis Paliakos (drums) and Panagiotis Bousounis (bass guitar) joined the band after being long term friends with the existing members. In 2010 they released their first EP “Fragile but Indestructible” which included 4 songs. It was produced in 102 free CD copies and it was also available online. 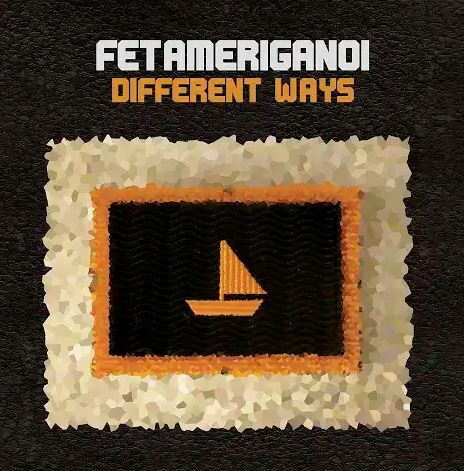 For two years, Fetameriganoi performed live in Kalamata and Athens and they worked on their new album “Different Ways” that consisted of 7 songs. This LP is a major step from the previous one. Like the in the previous EP, all of the songs were written by Fetameriganoi with Paris Kalpos as their producer. The first single “At first” was released on January 1st 2012 and the rest of the album was released on February 20th of 2012. On June 12th 2012, Fetameriganoi released a limited edition vinyl (111 copies) with the help of Anazitisi records. The vinyl included all of their songs from the previous releases. In July 2013, Fetameriganoi released their new song “Doom” that merged electronic and rock sound with politically infused lyrics. The song premiered together with a music video consisting of scenes from warfare, protests and immigrants working. In summer 2014, the song “Straight Line” was released, with a fresh sound approach combining elements from pop, blues and country music. During that year, all 5 members of Fetameriganoi performed live in Hard Rock Cafe (Athens). After that, Panagiotis Bousounis (bass) decided to leave the band for personal reasons. From January 2014 till December 2016, Fetameriganoi worked on their upcoming EP called “Deviation” that is scheduled to be released in 2018. The EP consists of 4 songs and will have less mainstream and more alternative rock sound compared to their previous releases. In 2017, Theocharis Paliakos (drums) left the band for personal reasons. Since 2018, the three founding members of the band keep working on new material and are planning to record some acoustic songs.